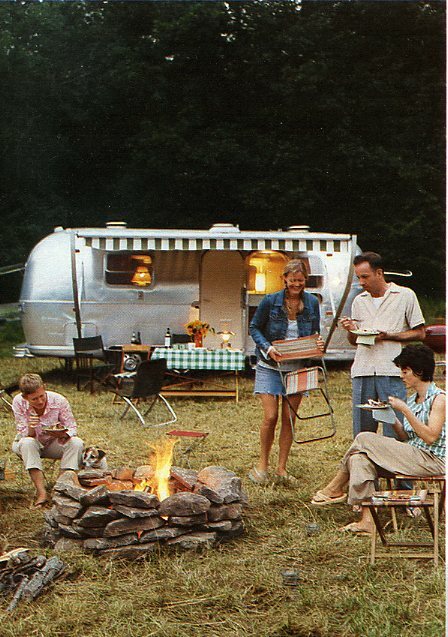 I HAD A 1971 AIRSTREAM SAFARI AND LIVED IN IT AT WILLIAM BROWN FARM FOR ABOUT TWO YEARS OR SO BEFORE WE HAD ANY TYPE OF HOUSE OR CABIN. IT WAS LIKE (AS I CAN ONLY IMAGINE) LIVING ON A BOAT. 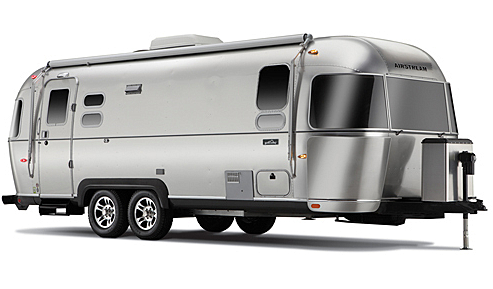 ITS ALUMINUM SKIN WAS BEAUTIFUL AND THE INTERIOR WAS EFFICIENT AND WELL DESIGNED. UNFORTUNATELY THE MICE TOOK UP PERMANENT RESIDENCE AFTER WE BUILT THE HOUSE AND I SOLD IT TO MY FRIEND KEN. (WHO NEEDED A SEASONAL DWELLING FOR FLY FISHING.) I HAVE TO SAY THERE ARE TIMES I REALLY MISS IT. I STILL FANTASIZE ABOUT HAVING ANOTHER AND THIS EDDIE BAUER COLLABORATION MAY BE JUST THE TICKET. SET UP FOR A SUMMER'S EVENING OF ENTERTAINING. 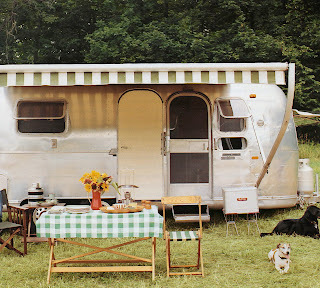 I've often dreamed of a Airstreamed road trip up the California coast. Very inspiring. I think that new Eddie Bauer model will only set you back about 70k. Complete with particle board cabinetry - no thanks.